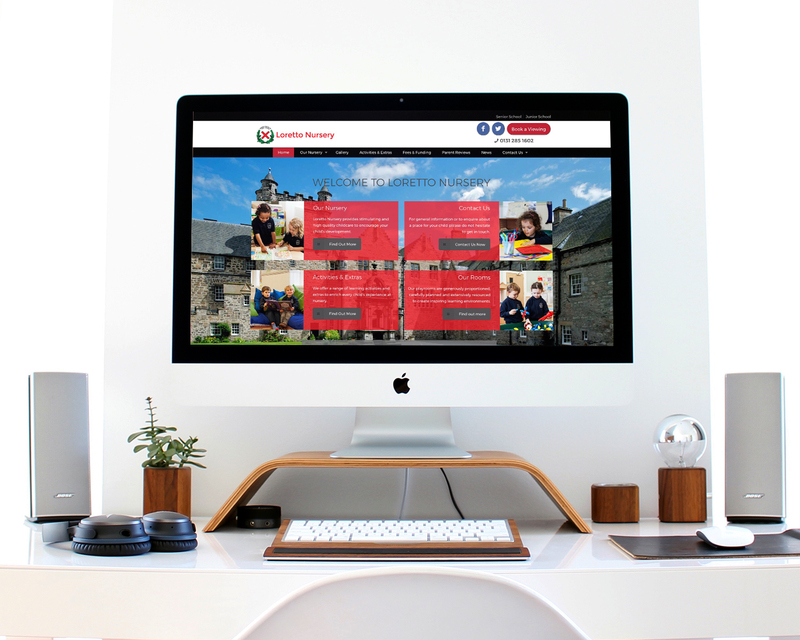 We have been designing nursery websites for Bertram Nursery Group for many years, but we were particularly excited when they announced that they were opening a nursery at the prestigious Loretto School in Musselburgh, Scotland. For all of us, this was going to be a "flagship" project. 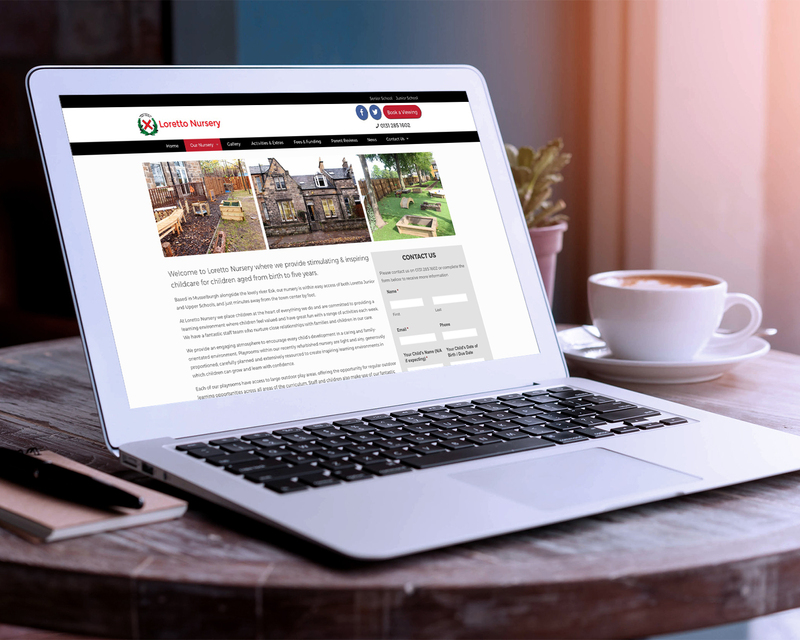 They wanted to depart from their existing "playful" image and develop a new lifestyle look and feel, using bold images overlaid with pages of information on semi-opaque backgrounds so that the imagery would still shine through. 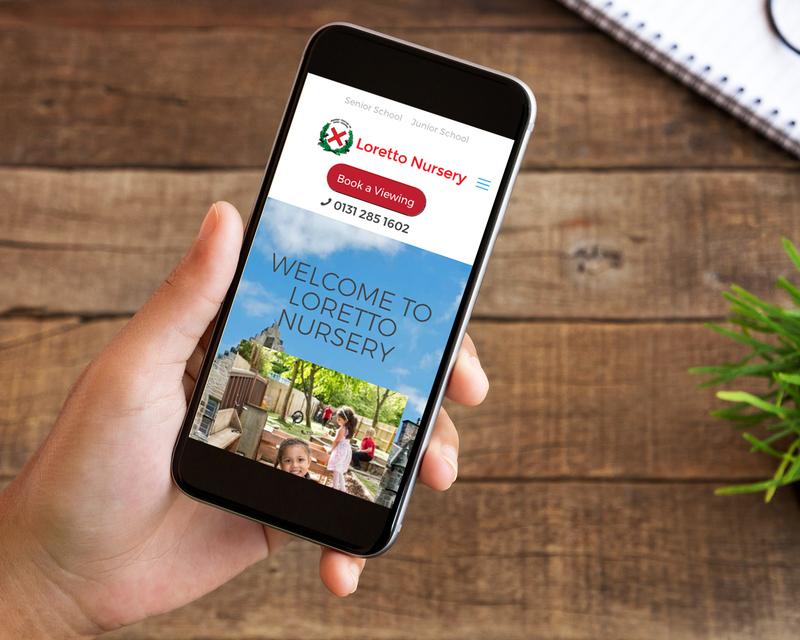 This project proved to be a turning point for Bertram, and all of their websites have since been modelled on the feel of the Loretto Nursery website.